Record 2Q18 earnings of S$1.2bn on lower credit costs, and higher interest and non-interest income. Interim dividend of 20 Scts declared (2Q17: 18 Scts); scrip dividend scheme turned on for the quarter with 10% discount to determined price. Maintains high single-digit loan growth outlook for FY18F; expects credit cost to stay benign. Maintain HOLD, Target Price of S$12.40 (1.2x FY19F BV); FY18-20F earnings adjusted by -1 to 4% on adjustments to loan growth, NIM and provisions. Higher cost of funds continue to weigh on NIM, maintain HOLD. While OCBC maintains high single-digit loan growth outlook for the year, the bank's NIM has been largely flattish in the last four quarters on slower loan repricing amid higher cost of funds. OCBC has taken in more funding in anticipation of stronger trade flows which did not materialise. 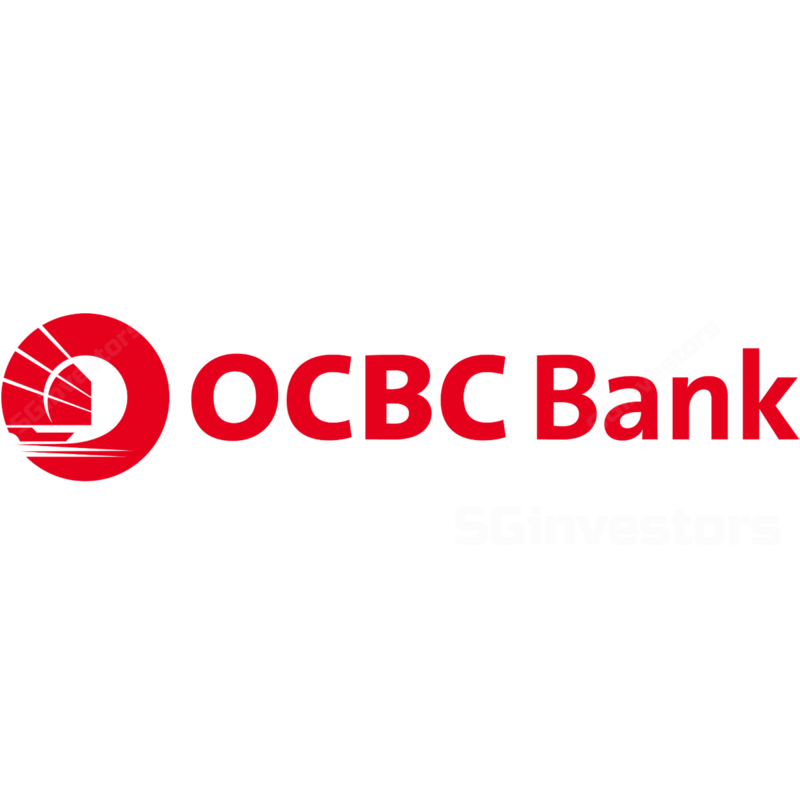 We believe that the gradual NIM uptrend should continue when OCBC is able to gradually phase out less-attractive fixed deposits. OCBC has declared a higher interim dividend of 20 Scts (2Q17: 18 Scts), representing c. 3.6% dividend yield at current prices. Higher dividend yields may potentially re-rate the stock as OCBC turned on the scrip dividend scheme in an attempt to shore up more capital. Lower-than-expected credit costs in this benign operating environment may further boost OCBC’s earnings. Our revised credit cost of 10-20bps (previous: 21-22bps) over FY18-20F could be lower than consensus. Management indicated that longer-term credit costs could be around 15-20bps. Potential catalysts: Improving NIM and higher dividends. Improving NIM could further boost earnings in a rising interest rate environment. A higher dividend yield, closer to peers’, for OCBC could be a re-rating catalyst. However, in the event that trade war escalates, it might trigger further risks to loan growth. WHAT’S NEW - Record 2Q18 earnings on lower credit costs, and higher interest and non-interest income. OCBC’s 2Q18 earnings of S$1,209m (+9% q-o-q, +16% y-o-y) were ahead of consensus and in line with our expectations. Earnings were primarily driven by significantly lower credit costs, and growth in interest and non- interest income, led mainly by better wealth management, trade-related and investment banking fees. Net trading income also contributed strongly. Wealth management income in 2Q18 rose 5% q-o-q, 3% y-o-y largely from Bank of Singapore (BoS) and Great Eastern Holdings’s (GEH’s) contributions. GEH continues to see growth in new business embedded value (NBEV) while BoS saw flattish AUM (c.US$100bn) during the quarter, as mark-to-market declines offset increase from continued net new money inflows. Flattish NIM at c. 1.67%. NIM was flat q-o-q and up 2bps y-o-y: the weakest trend noted among peers. While we saw loan yields price up along with higher interest rates, funding costs caught up at a quicker pace. Provisions were significantly lower (lowest among peers since 1Q18) at only S$21m (2Q17: S$169m; 1Q18: S$12m). Credit cost was only at 3bps (2Q17: 29bps; 1Q18: 4bps). Absolute NPLs were flattish while new NPL formation continues to normalise at below S$300m. NPL ratio remained stable at 1.4%, similar to a quarter ago. Loan growth at 2% q-o-q, 10% y-o-y was largely broad-based, largely driven by ex-SGD loans. Deposits were higher by 1% q-o-q, 10% y-o-y with CASA proportion relatively stable at 48% (2Q17: 51%; 1Q18: 47%). As such, loan-to-deposit ratio rose to 86% (1Q18: 84%) as loans grew faster than deposits. Wing Hang Bank’s non-interest income drove most of the quarter’s growth as the bank benefitted from customers’ transactions in IPOs during the quarters. OCBC Malaysia saw decline in NPAT on higher non- interest income and allowances. NISP saw decline in non-interest income as gapping during the quarter affected trading income. Expenses were flat q-o-q but 4% higher y- o-y. Cost-to-income improved to 42% from 44% in 1Q18 (still within 40-45% guidance). Notably, staff costs were down c.4% q-o-q. Higher dividends of 20 Scts (2Q17: 18 Scts) were declared for the quarter, though the quantum of increase is not as attractive as peers. Scrip dividend scheme will apply a 10% discount to determined price. With the dividend increase, OCBC offers c.3.6% dividend yield at current prices. Capital levels remain strong albeit lower than peers. CET1 was relatively stable at 13.2% while Tier-1 CAR and Total CAR were at 14.3% and 15.9% respectively. We have assumed 80% subscription (historical take-up rate is c.75-85%) to the scrip dividend scheme, which will help shore up some capital in the interim. Maintains high-single-digit loan growth target for FY18F. OCBC is maintaining its high-single-digit loan growth target for FY18F. Notably, c.30% of the loan growth during the quarter is related to trade. OCBC estimates that a meaningful amount, i.e. 15- 20% of its loans, are trade-related. Comfortable with CET1 ratio of 12.5-13.5%. OCBC expects the next major improvement in RWA capital efficiency to come nearer end-2019 to early-2020 on Wing Hang Banks’s adoption of Internal Ratings-based Approach. In the meantime, OCBC is also looking into NISP’s capital efficiency. While OCBC saw NIM uplift in Singapore and Malaysia, this was offset by NIM in Hong Kong and Indonesia. OCBC’s NIM has been largely flattish in the last four quarters on slower loan repricing amid higher cost of funds. OCBC has taken in more funding in anticipation of stronger trade flows which did not materialise. Maintain HOLD, Target Price S$12.40. We roll over our valuation base to FY19F and arrive at our Target Price of S$12.40 (11% ROE, 3% growth, 9% cost of equity) following our earnings adjustments of -1 to 4% on adjustments to loan growth, NIM and provisions, equivalent to 1.2x FY19 BV, slightly below its 10-year mean P/BV multiple. Faltering NIM and non-interest income traction. Inability to see revenue generation from improved NIM as well as better wealth management and insurance income contribution could pose downside risks to our earnings forecasts.